Voters across the state share their thoughts and concerns about the voting process across Arizona for midterm elections 2018. 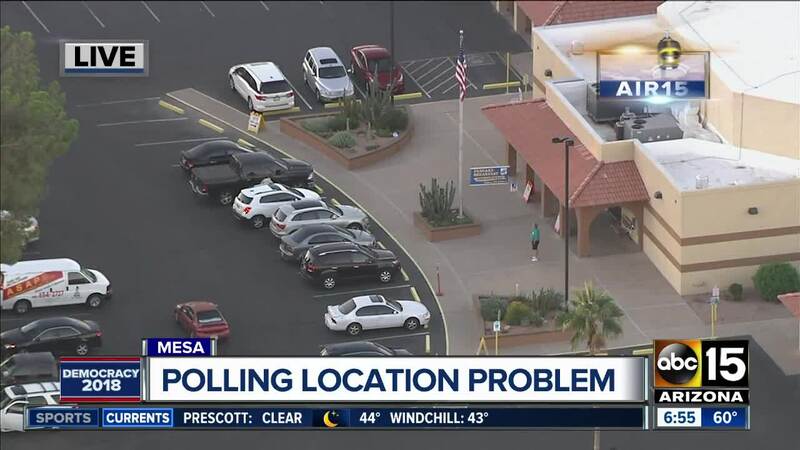 Polls are open Tuesday for voters around the Valley and state, however, problems have been reported to ABC15 by concerned voters and the Maricopa County Recorder. 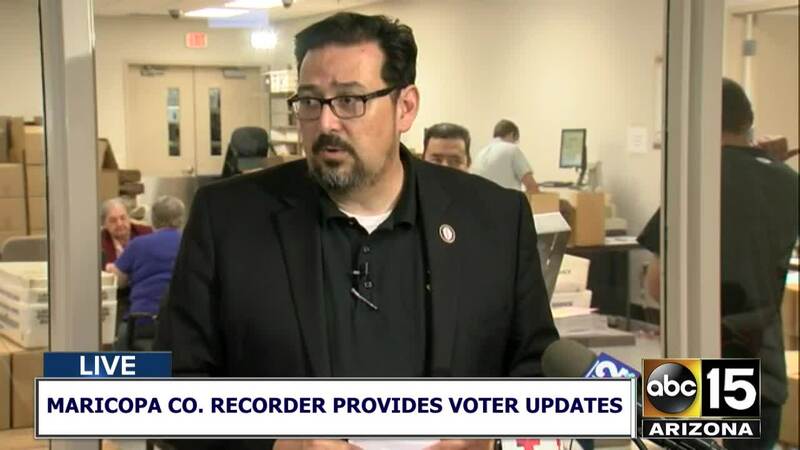 Adrian Fontes, the Maricopa County Recorder, tweeted on Tuesday morning that there were “building access issues” at the polling place at 2031 N. Arizona Avenue in the Gila Precinct. 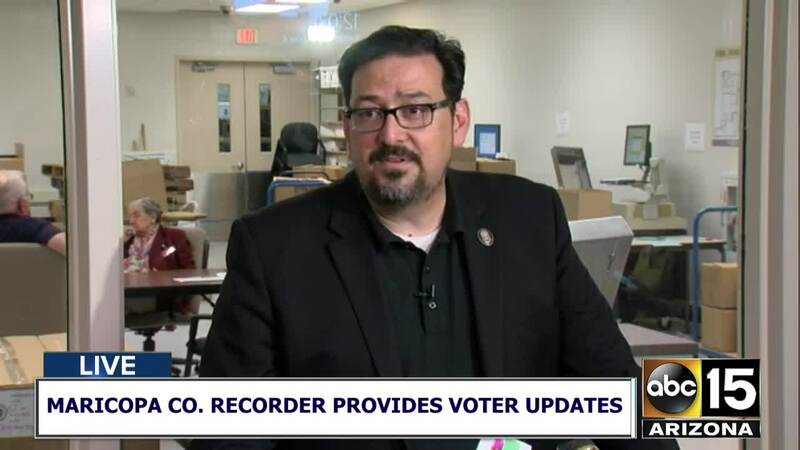 Voters assigned to that location were asked to go to the City Hall Vote Center at 175 S. Arizona Ave. At 7:15 a.m., Fontes said the 2031 N. Arizona Ave. location was back up and running, with some other hiccups. Each point on the map below shows a polling location that is experiencing issues, according to viewers and officials. Click on each polling location for more information. Fontes also said troubleshooters were sent to the Mesa Sunland voting location near Greenfield and Southern assessing problems. Some voters reported machine problems, printer problems and other issues. 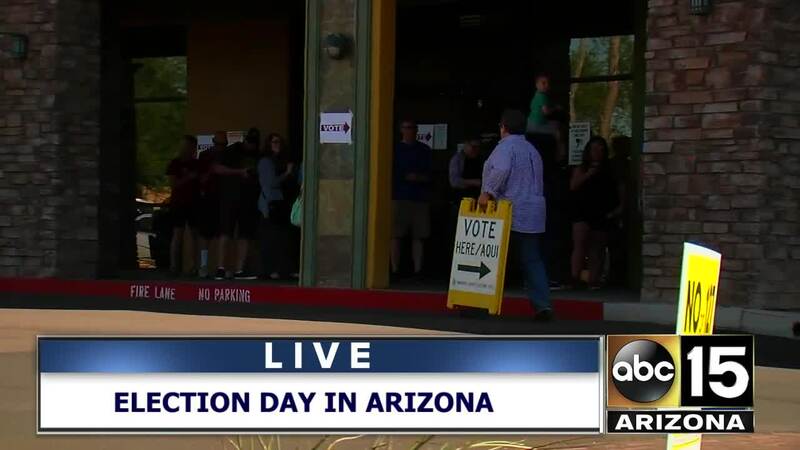 In a 10 a.m. update from Fontes, he said the Election Day turnout at polling sites in metro Phoenix is almost on par with a presidential election. More than 86,000 ballots were cast at polling places as of Tuesday morning. Fontes says lines at some locations left people waiting for a voting booth but not to check in. Other hiccups included technical glitches at one in Mesa and a foreclosure that locked up one in Chandler. Fontes says the Chandler location is being set up at an alternative site elsewhere in the same property. Officials had planned initially to relocate to a high school. Are you seeing polling issues at your voting location? 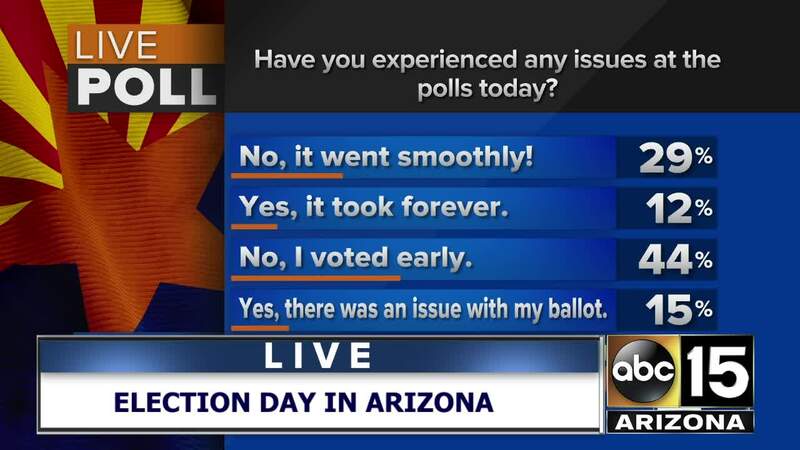 Let us know -- email share@abc15.com. POLL: Are you experiencing voting issues on Tuesday? Officials pledged no repeat of Arizona's history of voting issues before Tuesday's election.